For a vast number of years news and therefore journalism has been under considerable pressure. Both within our society and the field of journalism itself. While the circulation of paid newspapers continues to decline, interest for news in the form of free newspapers and more importantly online media increases year after year. So we do feel the need of consuming news, but why? Every day? Do we watch CNN because we are actually involved, affected or interested? Or are we doing this purely to put our own lives in a larger perspective? 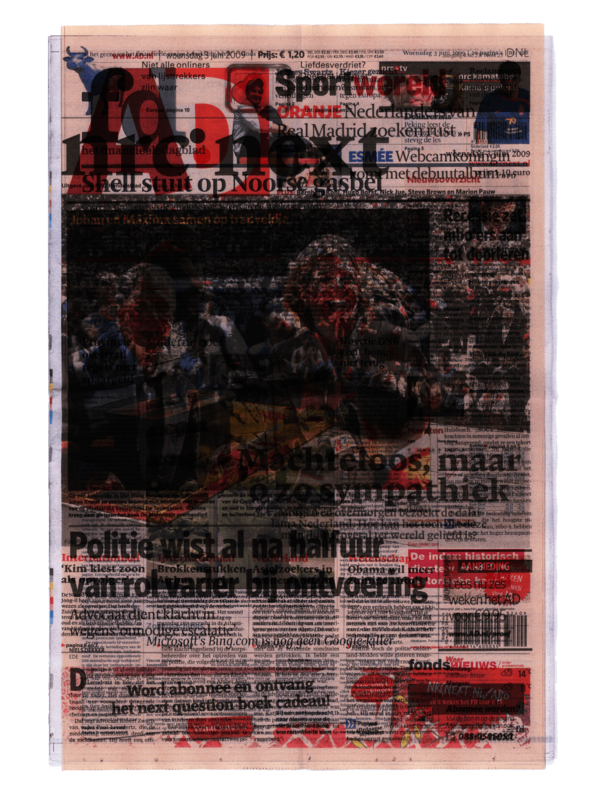 Research resulted in a book called Woensdag 3 juni 2009 and is over 40 cm high, 30 cm wide and almost 15cm thick. 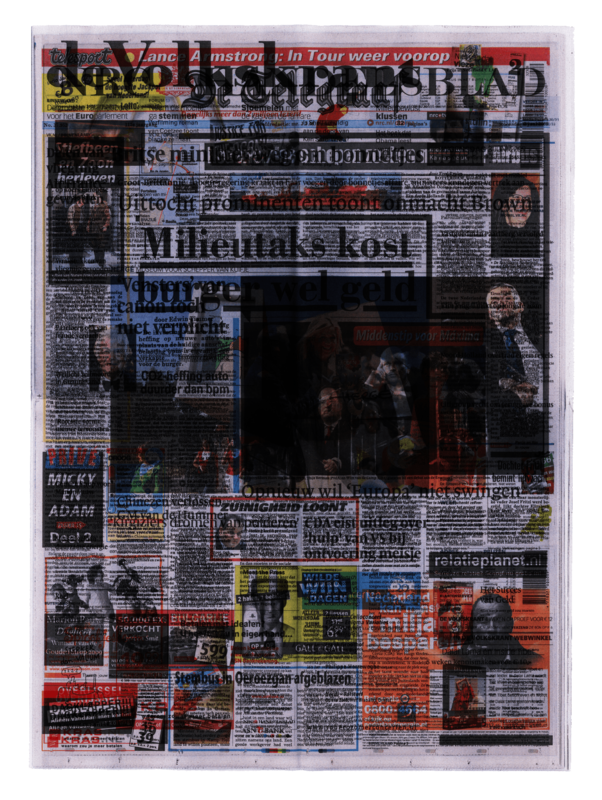 The book consists of thumbnails representing every printed daily newspaper in the Netherlands of that specific day. Counting towards 3.4 million newspapers that were printed daily at that point. 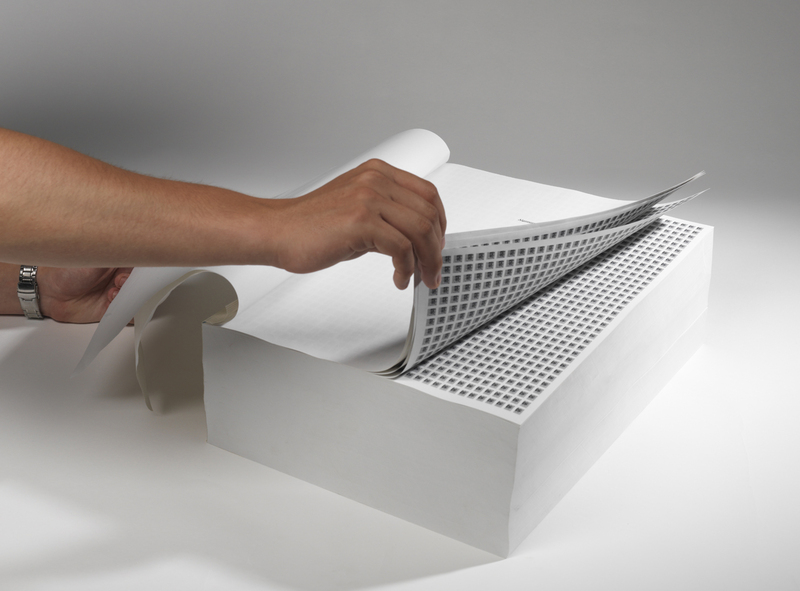 The repetitive nature of the content, together with the book-defying size of it, result in something that can rather be considered a sculpture than an actual book. The size and weight also heavily contrasts with the volatility of the matter. The book can be discarded at the end of the day, being replaced by Donderdag 4 juni 2009. This project was nominated for the Klaas Dijkstra Academyprize for design & communications.